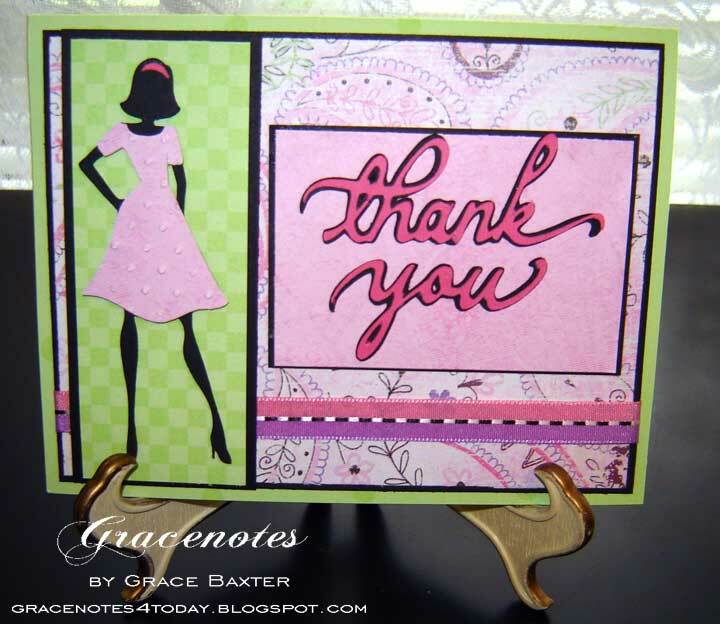 Woman to Woman thank-you card. Designed with a feminine touch. Have you ever met a stranger and instantly, you knew you liked them? Or better yet, upon meeting someone wonderful, they immediately felt a connection to you? It's what I call a "God arranged encounter". This happened to me recently and I was so overcome with joy I could not hold back the tears that were stinging my eyes. Every word she said resonated with me in a very deep way. This very special lady did something so selfless and kind, I will never forget her. The funny thing is, SHE was thanking ME for meeting a need in her life. Awesome. 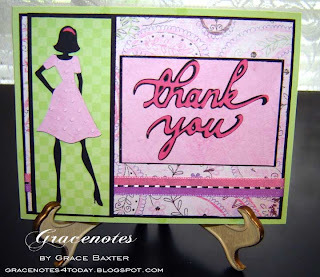 So this card is for a very dear lady whom I hope to stay connected with from now on. Irene, this one is for you. As you can tell, there are many layers. The girl is cut from Forever Young at 3-1/2 tall and the 'thank-you' from Beyond Birthdays cut at 2-1/2. Grace, I love your story. I also love your name. It reminds me of the grace of God we experience every day. 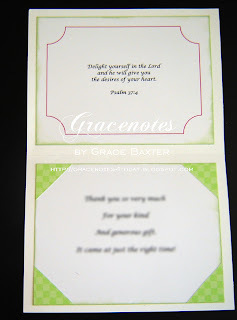 That's how we came up with the name of our blog, www.dailygracecreations.blogspot.com . thank you for sharing your talent and testimony.